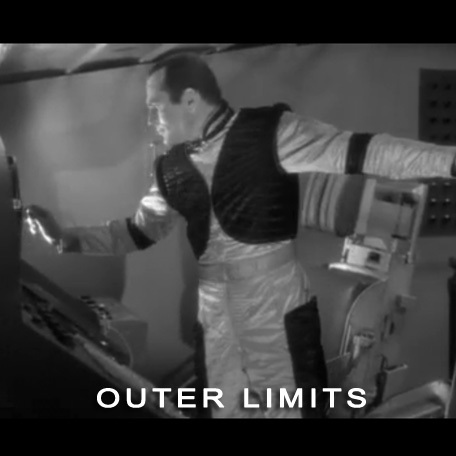 This futuristic spacesuit was worn in both the original hit television series "The Outer Limits" (1964) and "Battlestar Galactica" (1979). 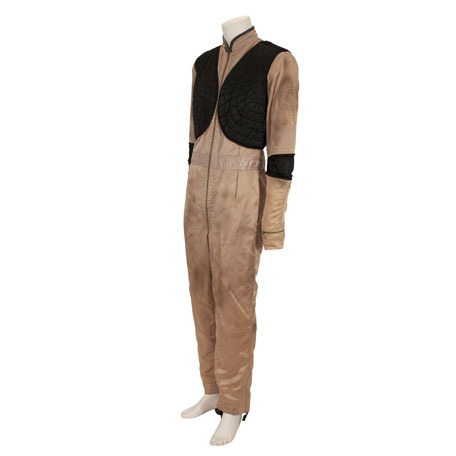 The tan zip front suit is made of heavy rayon satin with an attached black quilted vest, stand collar, self-belt, multiple zippers on the sleeves and ankles, and wide black bands at the elbows. 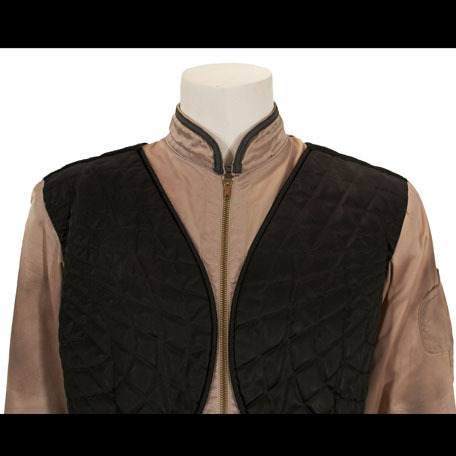 Black trim on the collar, padded black shoulder bands, and large black patch pockets on each leg were visible in "The Outer Limits", but removed for use on "Battlestar Galactica". 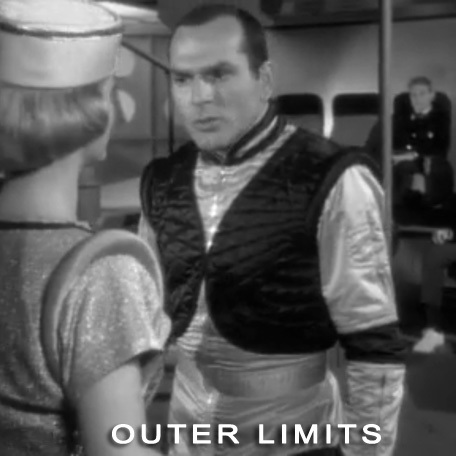 In "The Outer Limits", the suit is worn by "Dave Crowell" (Don Gordon) throughout the entire episode “Second Chance” (Season 1, Episode 23 - Original air date March 2, 1964). In the episode Crowell is a closet intellectual who has found a temporary job as the captain of a spaceship ride at a carnival. An ominous alien modifies the attraction into a real spaceship, and invites aboard a group of misfits each of whom is refusing to face realities in their lives. Crowell decides to stay aboard the ship to help the alien colonize a planet in order to ensure the future safety of both Earth and the alien’s home. 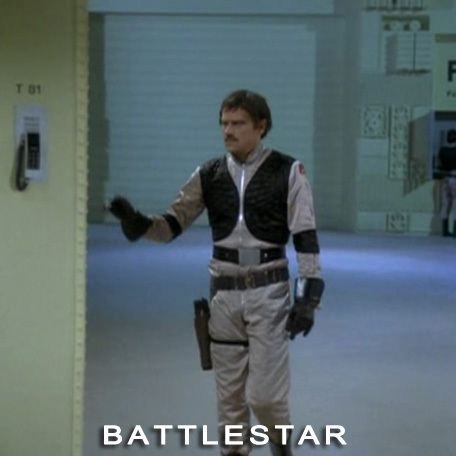 In "Battlestar Galactica", the suit is worn by a security guard on the Celestra ship in the episode “Take the Celestra” (Season 1, Episode 20 – Original air date April 1, 1979). 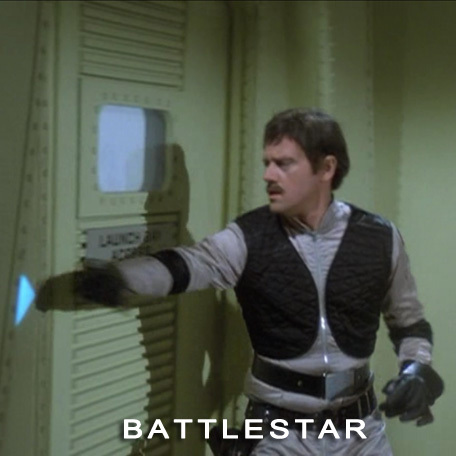 In the episode, during a celebration honoring Commander Kronus of the Celestra, Starbuck recognizes an old flame of his, Aurora and follows his lost love to the other ship. On their arrival, Starbuck and Apollo find themselves in the midst of a mutiny. 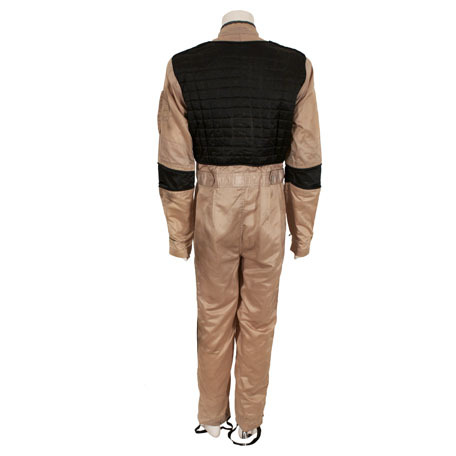 The jumpsuit is worn by one of the two landing bay crew men contacted by the Celestra bridge during the mutiny in the shuttle bay. The crewmen accompany Commander Kronus to the shuttle bay and take part in the laser battle for control of the ship. 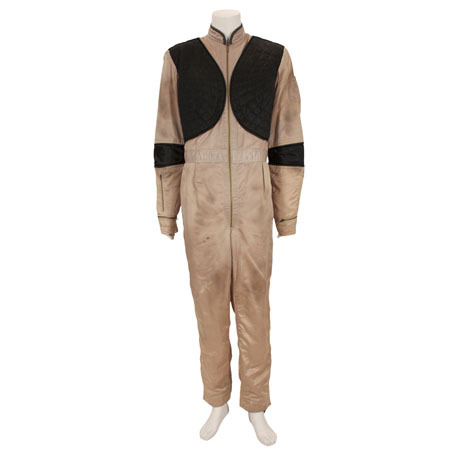 The suit was acquired directly from the Battlestar Galactica production company, and has some evidence of distress due to age and use on multiple shows. Accompanied by a letter of authenticity from the costume house.